If California existed as its own country, it would be the sixth largest standing economy in the world -- but the real wealth is the state’s culture, history, and natural wonder. From north to south, there are a vast number of experiences that fly under the radar except to the area’s locals. 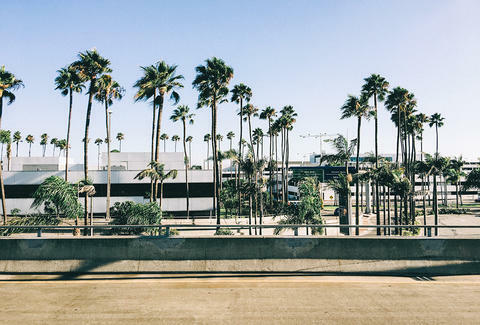 Whether geographical features, local traditions & lessons, beacons of pop culture, DIY culinary experiences, kitschy holes in the wall, or community gatherings, California is chock full of overlooked phenomena. Read on for a map to buried treasures of the Golden State. After you’ve beheld the most gorgeous nature of your life, head to Wildcard Brewing in Redding, where friendly tenders pull staff brews that seldom escape into the wild -- if you’re super lucky, their near-mythical white stout may be back on draft. Then hop into a time machine to the 1800s by heading over to Lake Tahoe. Ride along with the historic Wagon Train via the Highway 50 Association for a week-long journey from South Lake Tahoe to Placerville, whether by horseback or horse-drawn wagon, to recreate the trail rides that made California what it is today. The 69th Annual ride takes place in June, which should be nice. Continue along Route 50 to Ikeda’s Country Market and Bakery in Davis (there are two other locations in Auburn), where the burgers are massive and the apple pie is divine. The fruit in each pie comes straight from the family orchard and is as sweet and fresh as can be. You know what? Just buy some fresh fruit while you’re here. 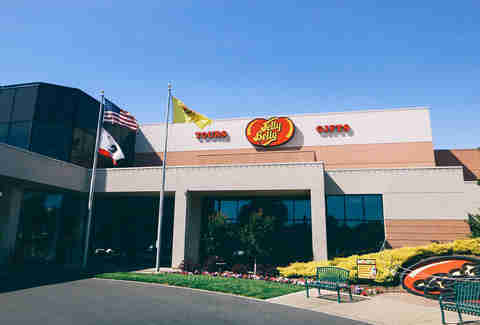 Down in Fairfield, you can tour the famous Jelly Belly Factory for free to learn just how all those crazy flavors came to be. It’s all self-guided and of course, samples come with the territory -- even before you’ve visited their cafe or gone through their chocolate and wine tasting. Move on to Marshall, where you can shuck your own oyster picnic at Hog Island. When you book a grill-equipped table, they provide not only the shucking tools, lemons, fresh horseradish, hot sauce, and the eponymous hog wash sauce -- but the shucking lesson, as well! BYOB is the name of the game; accoutrements like cheese and charcuterie are available at the nearby Boat Oyster Bar. Now, it’s time to move into the city with some zen moves, such as those you can learn at Silent Disco Yoga. Set on Baker Beach to curated music and instruction during the weekends in San Francisco, these are very special beach sessions designed to shake up your idea of yoga, coordinated via headphones. Founder Juliane Aiello says her company’s purpose is “to help students discover the power in practicing yoga to achieve strength, mental clarity and confidence.” The stunning view of the South Bay and gulf can only help in that regard. After you’re done with the northern portion of the Golden State, head back inland to the center, towards not only the highest point in the state but the highest summit in the lower 48, Mt. Whitney. What more needs to be said? Nearby is Manzanar Japanese Internment Camp Museum, a tragic but important relic of a disgraceful time in American history that deserves our respects and self-education. Learn not only about daily life of Japanese Americans but their immense sacrifice, with many relatives of the unjustly incarcerated fighting for the US on the front lines of World War II. Traveling south to Morro Bay, you’ll discover that the original pub location of Libertine Brewing Company exists as one of the best hidden, waterfront dive bars in California. With almost 50 taps, live music, full menu, and impressive views of Morro Rock and the harbor, it doesn’t get any better than this. Kick back and just let Central Cali wash over you. Go south on the 1 freeway and indulge your penchant for being “pretty in pink” at the Madonna Inn in San Luis Obispo. With pink champagne and pink cake as its hallmarks, it’s sure to get you to rethink pink. The inn is worth a several nights stay, as none of its 110 named rooms are alike and the hotel features a 48-foot waterfall amongst its 2,200-acre estate. Nearby on the Harford Pier by Avila Beach you’ll find a deliciously steamed crab lunch. You have your pick of seafood markets that double as restaurants, so expect to get down and dirty with little forks and seafood crackers for a feast with a crab-crawl. Travel just down the road for dessert (and possibly even more seafood), grab a huge, sweet treat from Old West Cinnamon Rolls in Pismo Beach. 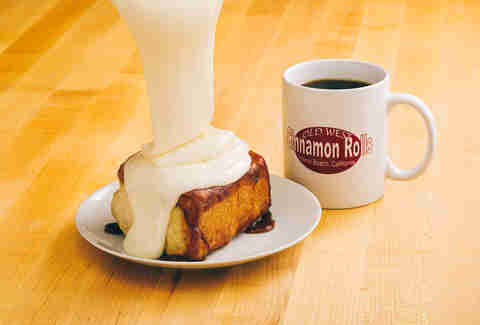 The service is top notch, so you’ll get that buttery, sugary, cinnamony mess topped with cinnamon and cream cheese in no time (and with a smile). If it’s late October through February, witness the fragile beauty of up to 15,000 butterflies at migrating through Pismo. Catch them during their southbound migration at Monarch Butterfly Grove. After the your visit to the Butterfly Grove, saunter inland to the Nipomo Swapmeet & Fleamarket for endless perusing. With over 300 vendors, the gathering imparts a family-friendly, old school vibe and even includes plenty of food stands. Don’t miss the Hot Rodders and Oil Pan Alley, where car vendors and restorers showcase their high-octane wares. Continue along the Central Coast and enter Santa Barbara County with a visit to the little known and hidden Jalama Beach. 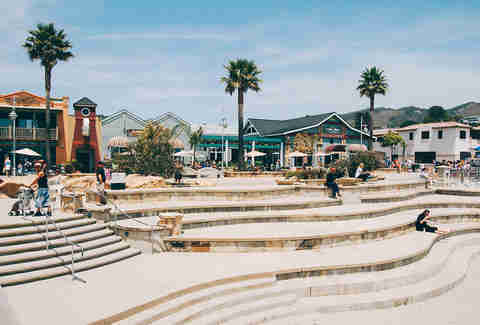 The town offers a great park with gorgeous views, charming sundries stores, and plenty of activities: picnicking, fishing, whale watching, bird watching, and more. The burger at Jalama Beach Store and Grill is notorious, as well, so arrive hungry. Then, kitsch things up by visiting Ostrichland in Santa Barbara, where you’ll see not only ostriches but emus, other large feathered friends, and their babies. Buy feed and then hold on tight, because these birds are not only strong but rather... assertive. It’s as close as you’re going to get to a real dinosaur since the La Brea tar pits aren’t old enough to have trapped any. 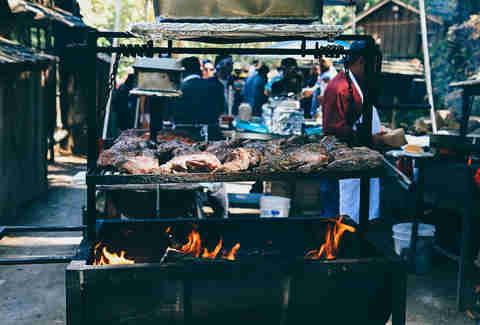 For nourishment, there’s nothing like experiencing the tri-tip sandwiches at Cold Spring Tavern in Santa Barbara, which are prepared over an open flame only on Saturday and Sunday afternoons. Enjoy while listening to live music at this historic restaurant with rustic vibe, which was established in 1865. While the most beloved burger chain in California is no secret, very few people know that there’s an old style replica of the very first In-n-Out in Baldwin Park, a relatively new construction that recalls Harry & Esther Snyder’s first location from 1948. 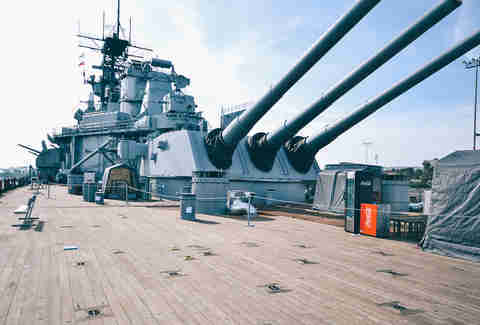 Then, head down to the largest port in America, the Port of Los Angeles in San Pedro, where you can tour the USS Iowa, which now exists as a museum on a retired battleship that once carried President Franklin Roosevelt across the Atlantic and served for over 50 years during World War II and the Korean War. Thanks, history! As you drive further south, stop in Carlsbad at the Museum of Making Music. The museum galleries are enhanced by special exhibitions as well as live music concerts -- the perfect setting for music appreciation no matter the level, musician, or age. It’s the rare museum that educates the senses beyond the eyes, making this an excellent opportunity for something different. Culminate your tour of California with a session of dune bashing in Glamis. 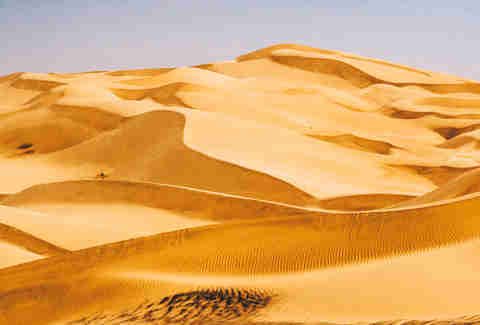 There are many places adjacent to to the dunes from which to rent ATVs, some which offer transportation to the dunes and others which you have to transport the ATVs yourself. Go wild!